The rooms of the Sportsman have only one purpose: comfort. The hotel not only offers well kept and bright rooms, but also shady and cool places outdoors, where you can relax. Let us help you forget the stress of everyday life. After all you are on holiday! Whether you choose the main building of the Sportsman or the Villa – everything you need is available to you. Anytime. Air-conditioning, LCD-TV and WiFi are a must. 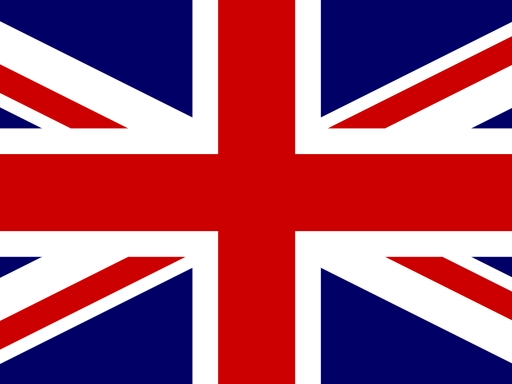 But we also like to surprise you, e.g. with a bag packed especially for you. In it, you will find a bathrobe, a beach towel and slippers to use during your stay. The quiet single room is located in the villa, which is connected to the main house by a covered walkway. It features a single bed and a private bathroom as well as a balcony to enjoy the breeze of the lake. For those who are looking for simplicity but do not want to miss comfort. 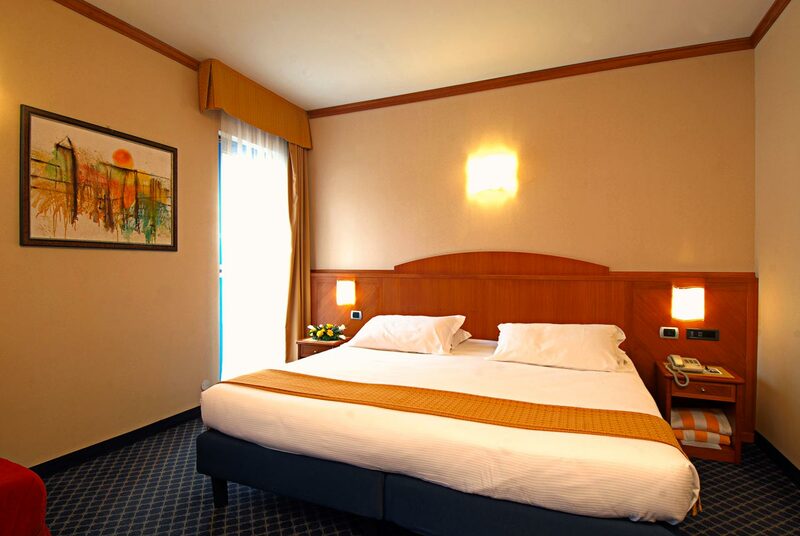 Spacious double room with air conditioning and modern facilities for a pleasant stay just a few steps from Lake Garda. 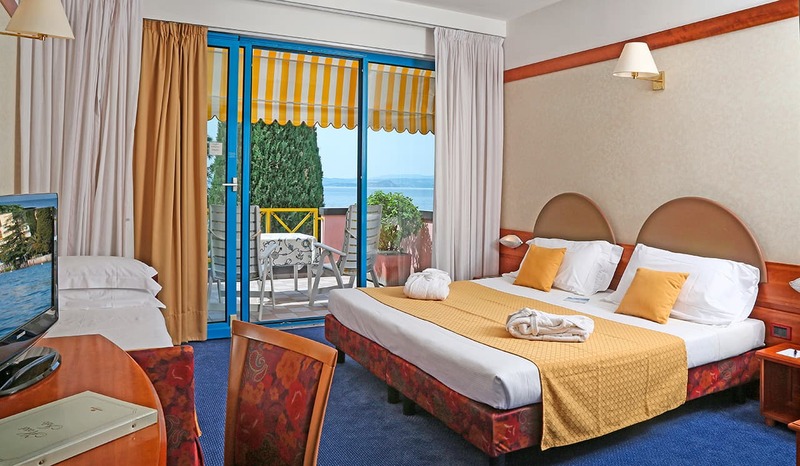 This type of room is the ideal solution to spend a cost-effective and functional holiday in Bardolino. Perfect to accommodate couples, some can be booked as double rooms for single use. The 25 Top Comfort Rooms are bright and cosy and offer lateral lake view. The ideal starting point to explore the area and return to rest after an exciting day spent outdoors. 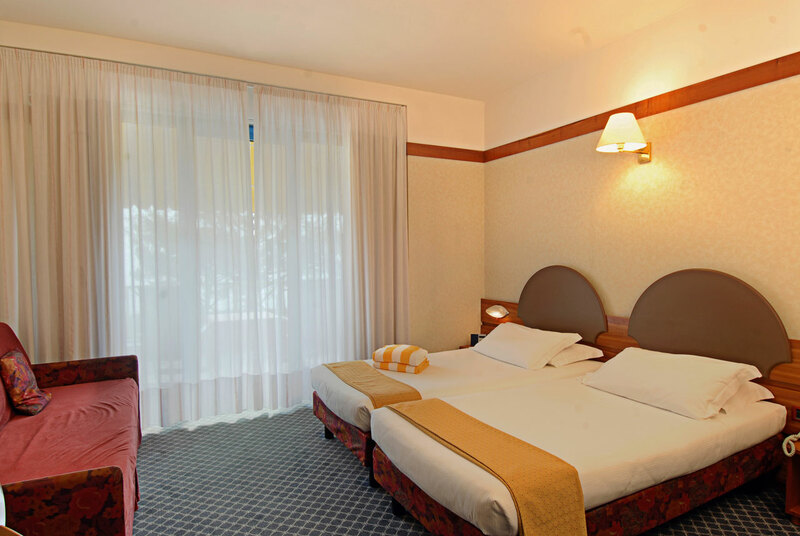 The rooms are equipped with a double bed or two single beds. 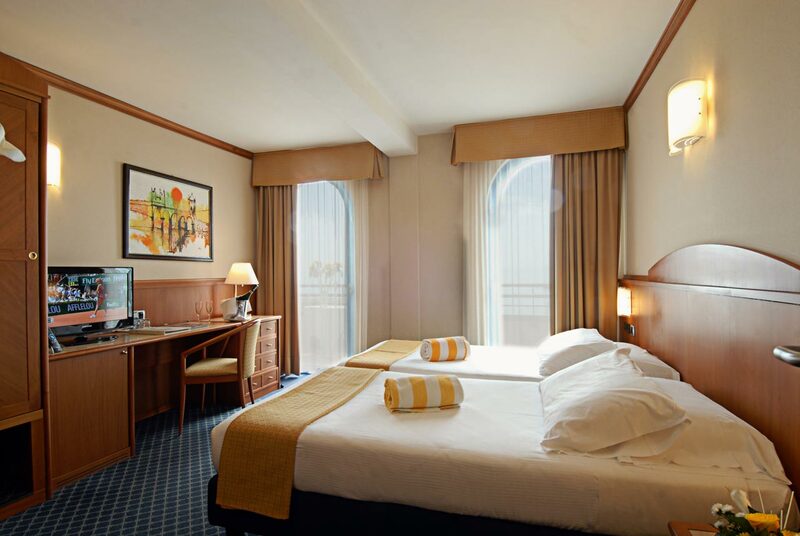 With an additional bed it is possible to accommodate up to three people. The 4 Comfort Rooms are arranged on two elevated levels in the villa, which is connected to the main building by a covered walkway. They are for those who love nature and excursions, but also want to rest and relax. 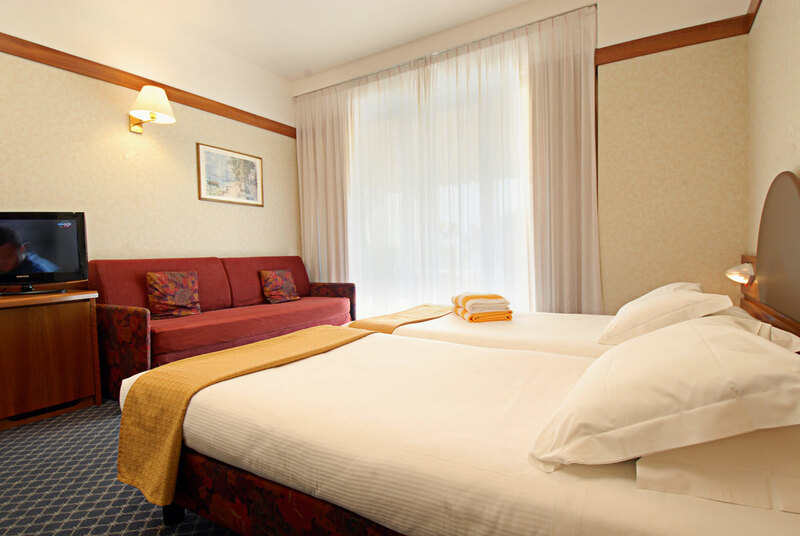 They are comfortable, equipped with air conditioning, balcony and many small details to pamper you every day. Romantic holiday for two? Business stay? Relaxation with the family? The 4 Junior Suites in the main house meet the needs of all types of visitors, welcoming them in comfortable rooms. On one side a double bed, on the other one a practical sofa that can be turned into a bed if the room is occupied by more than two people. Welcome to a cosy oasis of relaxation where everything is within reach. The Junior Suites are located in the Villa, which is connected to the main house by a covered walkway. The rooms in the Villa are perfect for those who do not want to miss the balcony. Classic furnishings and warm colours provide the maximum of comfort. Equipped with a double bed or two single beds and a sofa bed to accommodate up to 4 people. The Villa, connected to the main building by a covered walkway, boasts 8 Junior Suites with lake view and a welcoming atmosphere. From the balcony facing the villa's beautiful garden you can enjoy an exciting view of the lake and immerse yourself in its colours and scents. In the rooms every detail has been designed for your comfort, including a kit to prepare tea and coffee.